For one, it’ll be called the Scrambler and yes, it will come with removable tops. Woe to Fiat Chrysler, its ever-sinking ship, and the fact it hasn’t yet realized that maybe things are going downhill because it has many leaks in its hull. Except that unlike a real boat, the Titanic or USS John S. McCain for example, leaks aren’t exactly a bad thing, especially not when they release information about a highly anticipated truck to eager fans who’ll gladly buy one and further prove to FCA that it . That will likely be the engine of choice for anyone needing ample torque for towing. Another revelation regards the Jeep Scrambler’s top, or tops rather. Owners can chose from three options, a black 3-piece hard top, a body-colored 3-piece hard top, and a , which effectively makes the Scrambler a convertible pickup truck in any configuration (the three-piece tops are removable too) in case that’s a niche you’ve been waiting all your life for. CAD images of the Scrambler’s frame also seem to show that it’ll ride on a substantially longer frame than the standard four-door Wrangler, with overall length being 18% longer (33-inches longer) than the SUV’s body. That seems to suggest that the Scrambler will be offered in four-door configuration with enough space aft of the rear seats for an accommodating bed. Dana, Jeep’s resident axle supplier, will be selling FCA its Dana 12-bolt axle and differential setup, which is stronger than the current Dana 44 axle on the Wrangler. The most logical explanation for the beefed-up hardware is the Scrambler’s need for greater towing and payload capacity. 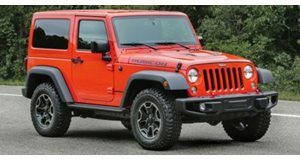 These are all very promising signs of a truck that will take the best of what the ever popular Jeep Wrangler has to offer while mixing it in with the capable truck recipe that Americans seem to love. Renderings by .